Several discussions have taken place regarding the future fate of the Point Pleasant River Museum and Learning Center, pictured, with the latest decision being to delay demolition. POINT PLEASANT — At this week’s Point Pleasant City Council meeting, council members decided to delay the demolition of the Point Pleasant River Museum and Learning Center, pending the proposed plans be presented to the Historic Landmark Commission (HLC) for formal review. The city will still move forward with the design phase. Council members in attendance were Charles Towner, Janet Hartley, Jerrie Howard, Gabe Roush, Olivia Warner, Brad Deal, and Elaine Hunt along with Mayor Brian Billings, City Clerk Amber Tatterson, and City Inspector Randy Hall. For a meeting which lasted just shy of two-and-a-half hours, the primary topic of conversation was the fate of the museum. Those speaking on behalf of the restoration of the building included Mason County Historical and Preservation Society (MCHPS) Director Kyle McCausland, MCHPS President Chris Rizer, Jennifer Brennan from the West Virginia State Historic Preservation Office, Carol Stevens, president of CAS Structural Engineering Inc., and Mike Gioulis, a historic preservation consultant from Sutton. Additional delegations concerning the matter came from Steve Littlepage, of Hyer & Littlepage, Jack Fowler, director of the museum, and Butch Leport, president of the museum’s board of directors. The consensus of the speakers supporting restoration was, there are ways, cost effective ways, to save the historical aesthetic of the river museum. Stevens commented the brick could be salvaged as she has seen bricks in similar condition. 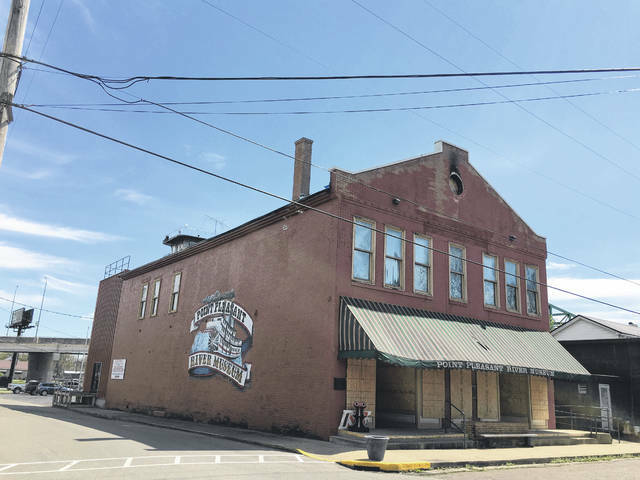 Gioulis added he has seen structures in worse condition than the river museum and has successfully restored them such as the Philippi Covered Bridge and a two-story downtown commercial building in Morgantown. Stevens and Gioulis both commented the structure has features of being a pre-Civil War building. Following, Brennan discussed tax credits and possible grant options the city could use with the restoration of the building. Grant options include a surveying and planning grant which is a 70/30 split, the city would be taking care of 30 percent of the cost and then a 50/50 matching grant that pays for brick and mortar rehabilitation for historic structures. As with the tax credits, for every $100,000 spent on a historical restoration project, $20,000 in federal tax credits and $25,000 in state tax credits can be returned to the city after they transfer the sums to a third party entity. In their opinions, Stevens, Gioulis, and Brennan felt restoration of the river museum would be more cost effective than demolition and rebuilding of the structure. Littlepage, who was in attendance saying he represented clientele from the HLC, read two of the city’s ordinances with one explaining the HLC has wide ranging powers and the other stating approval for any proposed changes to the landmarks of the historic district, including demolition, must be given by the HLC. Billings commented Councilwoman Howard is a member of the HLC and has attended all meetings regarding the future of the river museum and all members of the HLC were invited to a special meeting regarding the river museum, but none who attended spoke out on the issue. Brennan explained the informal presentation of the plans doesn’t replace a formal, public meeting, which should be held for the HLC members to have say on the matter. City Attorney Michael Shaw then proposed the motion to delay the demolition of the museum, pending the proposed plans be presented to the HLC for formal review. As reported, the motion also stated the city will still move forward with the design phase. Fowler explained with the river museum rebuild they are planning on adding 30 additional feet with a donation of land from Greg Hartley. Fowler commented he wants to see this new river museum last another 150 years as the previous structure had done and explained he appreciated learning the history of the building; however, due to time and money, he wants to see this project move along as planned. In other river museum business, Mike Davis, engineer from Burgess and Niple, was in attendance with a draft of a layout of structural plans for the new river museum for council to review. https://www.mydailytribune.com/wp-content/uploads/sites/42/2019/04/web1_RiverMuseum0411.jpgSeveral discussions have taken place regarding the future fate of the Point Pleasant River Museum and Learning Center, pictured, with the latest decision being to delay demolition.